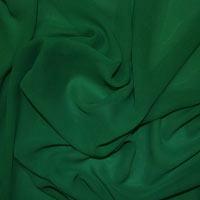 Chiffon, from the French word for cloth or rag, is a lightweight, plain-woven, sheer Dressmaking Fabric. This beautiful Sheer Fabric is a popular choice with dressmakers and is commonly used for bridal gowns, prom dresses and eveningwear. A gown created with our beautiful Chiffon Fabric is sure to make the wearer feel glamorous and elegant on the most special of occasions. 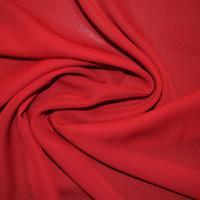 Our Chiffon Fabric is made from 100% polyester and washable on a cool wash.
Chiffon is one of our most popular Sheer Fabrics. 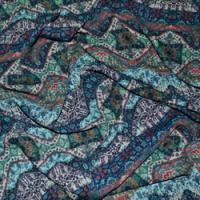 Ordinarily used in evening wear many customers Buy Chiffon Fabrics as it is perfect for giving an elegant and floaty appearance to any gown or can be layered to add volume to your creation. Whether you are a novice or an established dressmaker, Chiffon will always be an important addition to your fabric collection. 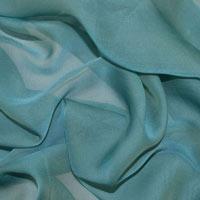 Chiffon Fabric can also be used to create feminine blouses, decorative scarves and beautiful lingerie. 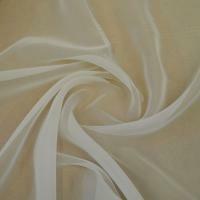 This beautiful sheer material is a perfect Bridal Fabric as it can create a stunning overlay over a satin or taffeta fabric and is especially popular creating a variety of bridal garments. Browse our stunning range of Chiffon Fabrics including Japanese Chiffon, iridescent two-tone Cationic Chiffon and soft Georgette Fabric.